Tired of constantly dropping, scratching and losing your expensive glasses? With this magnetic eyeglass holder, you easily attach your eyeware to any article of clothing and your glasses will be with you at all times. 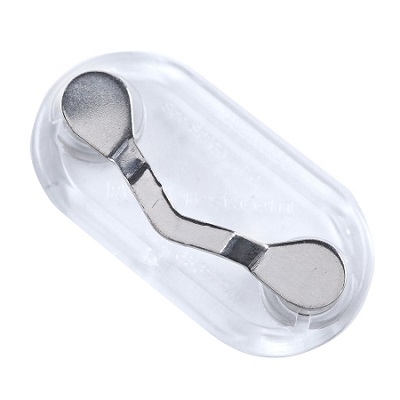 All you have to do is place the plastic back-plate on the inside of your clothing and the front clip to the outside and the magnets will automatically attach and self-center. No pins are used! Quality is important which is why high-grade magnets are used and a developed patented processes makes the product long lasting. Your glass are not going anywhere! !